As hard as it may be to believe (didn’t the World Series end yesterday) Major League Baseball Opening Day is THIS WEEK! After a winter filled with snow and shoveling, we are all very excited for the baseball season to get underway. 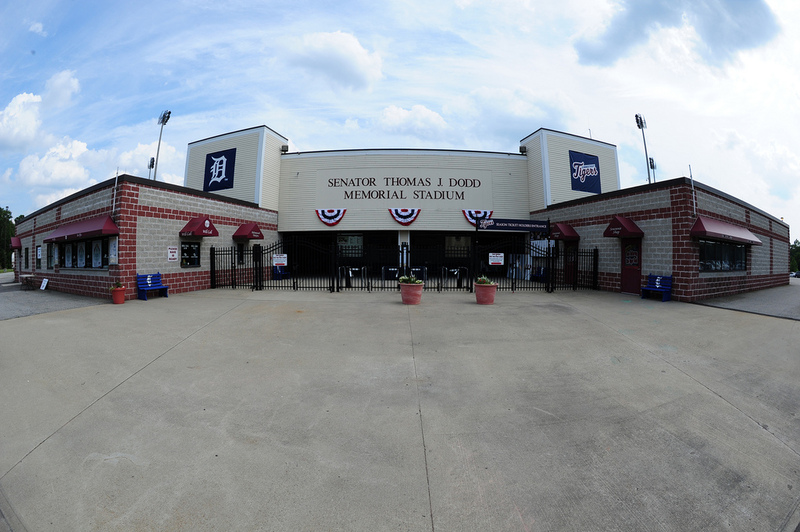 As the baseball weather starts to roll in, so too will our ability to begin preparing Dodd Stadium for baseball action! 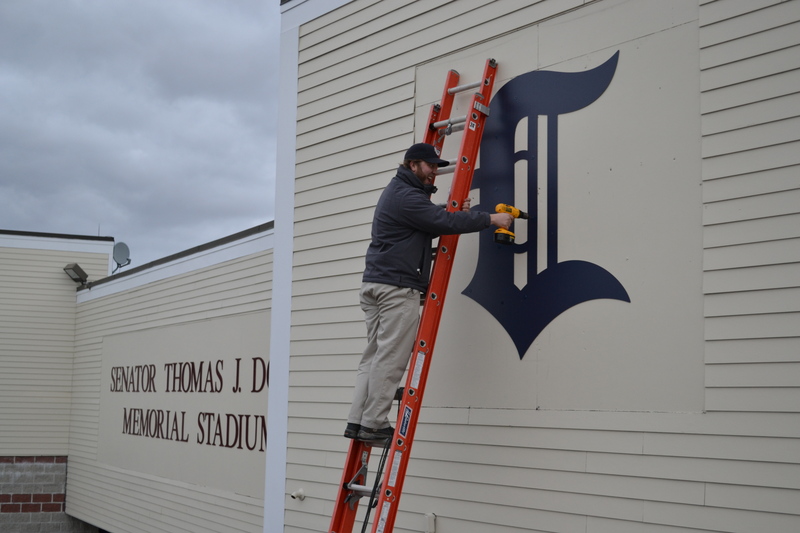 One of the most recent upgrades made here was to make the Detroit Tigers and Connecticut Tigers logos a more permanent part of the front of the stadium. After the winter weather had done some damage to the previous logos, we decided it was time to make an upgrade to the material used as well as the overall appearance. This also signifies our commitment to the Connecticut Tigers name (after some early 2010 discussions of a name change heading into 2011). 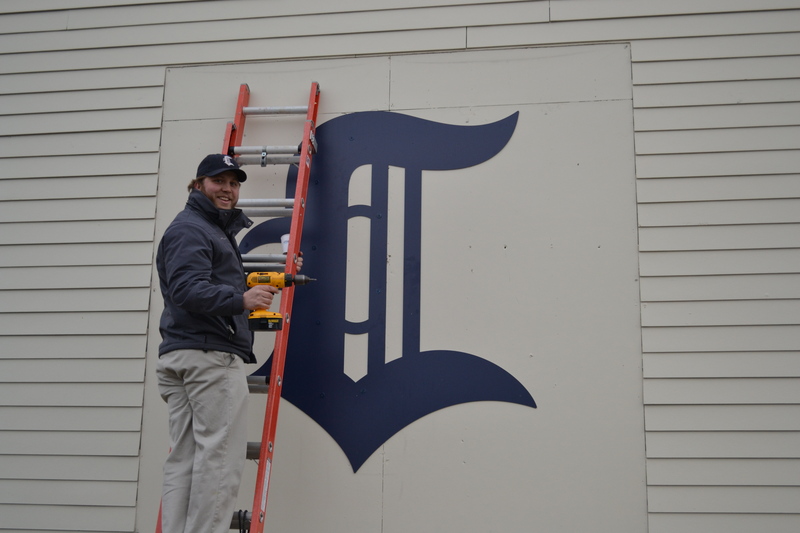 After an overwhelming strong response to the Tigers name, it is here to stay! 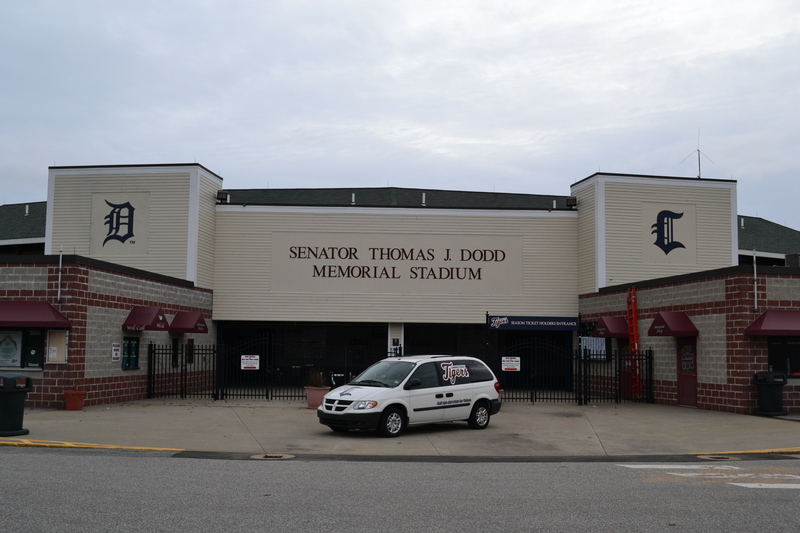 Stay tuned for updates on stadium improvements as we move towards Opening Night on June 2oth.